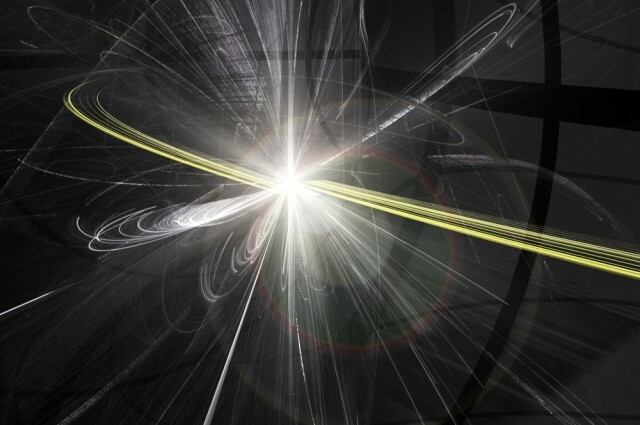 An international group of scientists, with the help of CERN’s Large Hadron Collider (LHC), have found proof of something physicists have spent decades expecting for, subatomic particles acting in a way that challenges the Standard Model. By using the LHC, scientists observed conditions that violate the standard rules of particle physics. The group of physicists looked at data gathered from the LHC’s first run from year 2011-2012, a run made famed for the discovery of the Higgs boson, and found the proof they were looking for: Leptons disobeying the Standard Model. Leptons are a group of subatomic particles consist of of three different variations: the tau, the electron, and the muon. Electrons are very stable, however both the tau and muon decay very fast. In the recent study, the scientists searched through data looking for proof of B mesons decaying into lighter particles for instance the tau lepton and the muon. According to the Standard Model all leptons shall be treated by all the fundamental forces, a theory known as "lepton universality." This means both the tau and the muon should decay at the same exact rate, once the change in mass is accounted for. But the group discovered a tiny, but clear, difference in the rates of decay which could specify the existence of potentially unknown forces or particles interfering with the rates of decay. Hassan Jawahery, from the University of Maryland in the US and also one of the lead researchers, said in a statement "The Standard Model says the world interacts with all leptons in the same way. There is a democracy there. But there is no guarantee that this will hold true if we discover new particles or new forces. Lepton universality is truly enshrined in the Standard Model. If this universality is broken, we can say that we've found evidence for non-standard physics." BaBar experiment conducted in 2012 at Stanford’s Linear Accelerator Center (SLAC) showed the same results. The BaBar experiment also concentrated on B meson decay; but, unlike the LHC which smashes protons together, the SLAC used colliding electrons to conduct their experiment. Regardless of the different methods, having two experiments with related results is key, and suggestive of actual physics. The results will be issued in the September 4 issue of Physical Review Letters.